The iPhone has always been a popular smartphone, and with its recent foray into China, this is the right time to start developing for the iPhone, if you haven't done so already. One of the reasons why more than 89% of the developers prefer developing for the iPhone is because of its stable ecosystem, and a user base which does not mind paying for apps, unlike in Android. At Outsource2india, we have been empowering first-time developers and businesses to create innovative and functional iPhone apps for over a decade. Our iPhone app development services help you to not only launch a successful app, but create an unparalleled experience for your users. 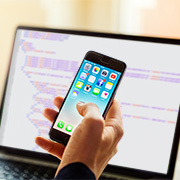 As the number of iOS apps being published keeps on increasing daily, businesses are on the lookout for app developers who can help them differentiate their brand in front of the consumer. At the same time, with BYOD being rapidly adopted by enterprises world over; iOS also pushes its case as a great platform to invest into. 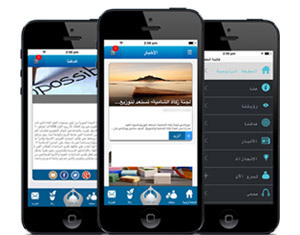 iPhone developers at outsource2india developed an Arabic iPhone app that was not only user-friendly, but also had a real-time flow of data. 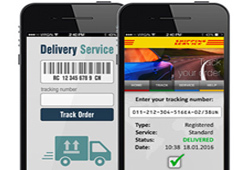 We developed an iPhone app which allowed clients to access accounts, track shipments and get up-to-date real time status information. We have been in the iPhone app development game for a long time now. We believe that at the end of the day, iPhone app development is not about us or our proficiency, nor is it about your company. It's not about the iOS platform as a whole, nor about the features that your app supports. App development is all about your users - your target audience who ultimately will either make, or break your app. That is why we make it our mission to package functional apps within a polished, bug-free, and aesthetically pleasing design. Contact us right now and learn for yourself how our iOS development services can help your business.